To stay up to date on upcoming BRU events, sign up for the local newsletter! We’re looking for new host/organizers! In these four years and a half, we are proud and humbled to see and be part of the incredible community that grew around these events! Yet life followed its course, new commitments came along, new homes, new babies… And we’re not able to give this event the time and energy it deserves. So we’re looking for new team members, especially a new host! We would be thrilled if a member of this local community could take this role. Could this be you (or someone you know)? Are you passionate about the local creative community here in Brussels? Leading a small volunteer team and bringing some of your own insights and ideas to CreativeMornings sounds exciting? What about joining and participating in a global conversation among our 189 chapters (and growing!)? Do you use the words “humble,” “driven,” “resourceful,” “generous,” and “connected” to describe yourself? If you are interested, we’d love to hear from you! Just complete our standard New Chapter Application and we’ll be in touch. We look forward to receiving your application and bring back soon our monthly creative sessions. P.S. Insight into what it’s like to be a host. And more insight. Okay, the last one. P.S.2 We live by our manifesto. After a break of a few months, we are putting everything back together to restart our dear morning sessions of inspiration, networking (and breakfast!). It’s been almost four years, since Carmen, eager to bring Brussels creative minds together, started this amazing chapter. Putting together the application, bringing a team together, finding partners, great stories, yummy coffee… phew! A ton of work to juggle in between work and personal life. Now Carmen has decided to step down as a host. She will remain part of the #CMBru team and family, but still, we can’t help to feel sad and we’ll for sure miss her energy and love. She’s been not only our leader and guide but, in the process, she also became our dear friend. But, hey! We are also very excited to welcome Liese as our new host! Liese is not a stranger to #CMBru. In fact, there is no one more familiar with our chapter: she’s been an active part of the team from the beginning, joining originally as a photographer and videographer, which is also what she very skillfully masters in her professional life. Liese has received all the experience and know-how from Carmen and from her own work on this project, and we are excited to receive from her a new energy that will keep pushing our community and events forward. We wish you both the best, and we’ll see you in the morning!! And, to do that, we will take a break for the comings months — we’ll be back with our renewed #CMBru early 2018, to start this new stage together! Meanwhile… we are really going to miss your morning smiles! We’ll keep in touch, you’ll still hear from us on social media, and we are happy to get news from you as well! May the coming months be filled with passion, new connections, and we can’t wait to see you again next year! You’ll miss #CMBru talks as much as we miss you? You can find them here as well! Watch'em and re-watch'em and click the ❤︎ icon to let the hearts rain! Get inspired, learn, have fun and even find a job with this amazing newsletter from our headquarters. Brussels is not only the capital of Europe, but a beautiful and very diverse city, with a multitude of nationalities, cultures and languages. CreativeMornings Brussels aims to bring together people from these different communities, connect and inspire them! Throughout the monthly events, it will look at creativity from multiple angles, including art, business and technology, and welcoming creative people, in a broad sense. Want to know more? Watch our intro video, this TV reportage or drop us a message! Our events generally take place on the 3rd Friday of every month. Subscribe to our newsletter (by clicking on the link on the left-hand side), and we’ll drop you a hint for every edition! Interested in sharing your project, a job alert or an idea, with our community members? You can present it in a 30 seconds pitch, in one of the coming editions of #CreativeMornings. 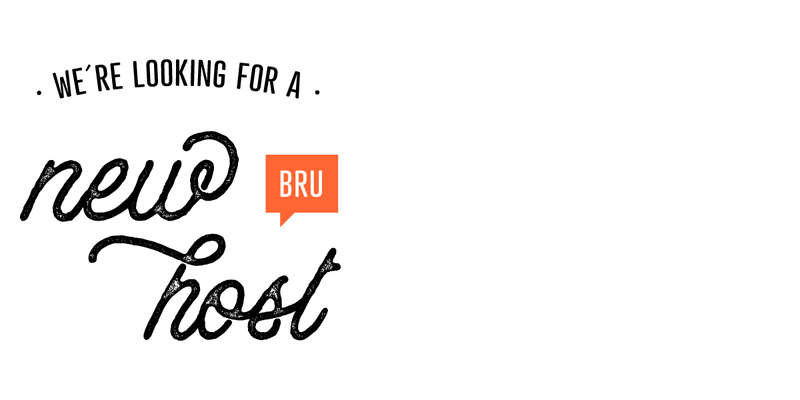 Just drop us an email at brussels@creativemornings.com. We'd love to hear from you!